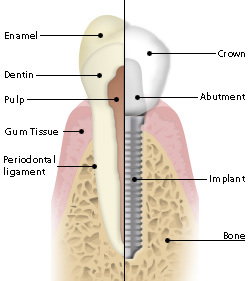 Dental implants can revitalize your smile. As great as they are, though, a traditional procedure is typically spread out over several months. But at Dr. Salivonchik’s Whitehall office, eligible patients may be able to have their implants placed and restored in the same visit. With the help of an oral surgeon, Dr. Salivonchik can have your implant procedure finished in four hours. That’s because we’re specifically targeting where your implants will go, eliminating the need for a healing period. And eliminating the time it takes for your smile to heal means you can enjoy improved function and comfort much sooner. How Do We Know This Technique Is State-of-the-Art? Dr. Salivonchik recently attended a special course led by Columbia University’s Dr. Dennis Tarnow. The course, sponsored by the University of Pennsylvania and Lehigh Valley Hospital, was devoted to exploring the latest advances in implant dentistry. So imagine how delighted we were to see that our single-visit implant technique is just one of the most cutting-edge advances to occur in implant dentistry. It was a privilege to learn from Dr. Tarnow, but it was just as exciting to learn that our office is providing our patients with the best in care. To find out if you’re a candidate for our single-visit dental implant technique, contact us today to schedule an appointment with Dr. Salivonchik. Our Whitehall office sees patients from Allentown, Bethlehem, Easton, The Poconos, and surrounding areas.